How to delegate? This masterclass teaches a highly effective technique to improve you delegation skills, delegate your work and get things done. Are you overwhelmed with work? Have you ever felt frustrated that no one is doing the job you delegated to them. 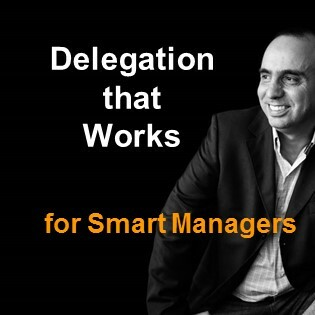 Are you looking for better ways to delegate? Do you keep asking yourself if there is a simpler way to delegate tasks and get the work done? Are you under pressure to deliver more results? Do you feel under pressure to deliver, but are unable to delegate your work? If you said yes! to any of the questions above, this training is for you. It will provide you a more effective way to delegate tasks and get your work done through your team. Provide your email and I'll let you know, when this e-course is opened for enrollement. Success! You've been added to the waiting list. I'll let you know as soon as this product becomes available.